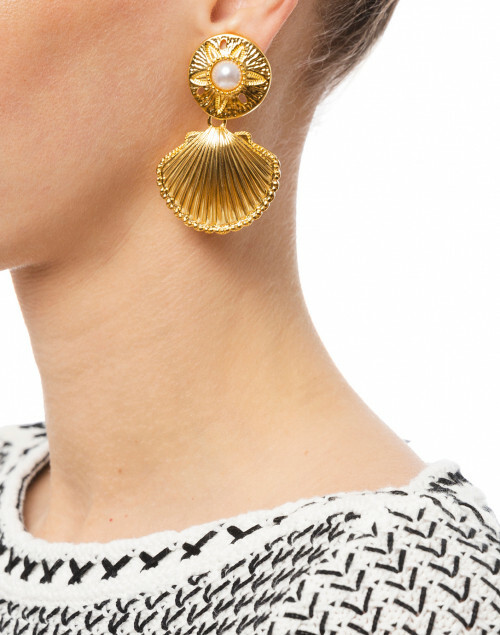 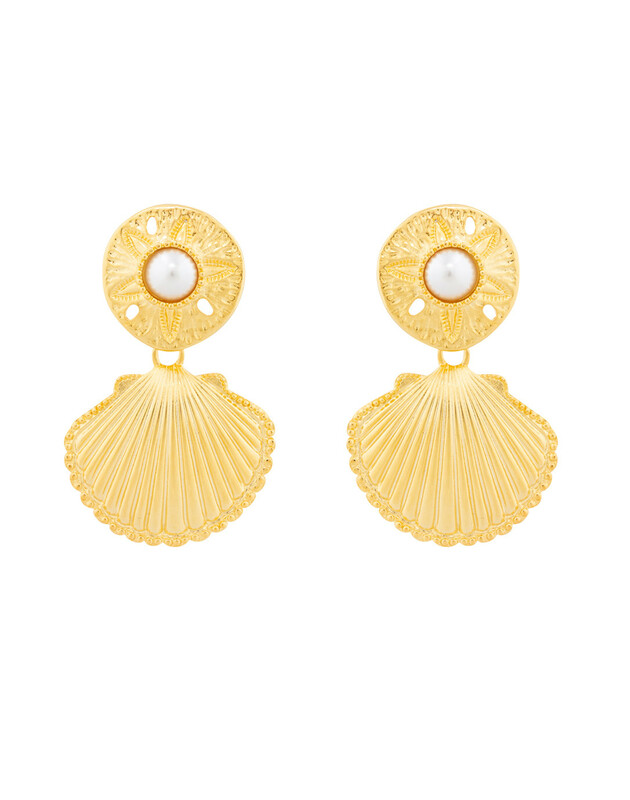 Kenneth Jay Lane's gold shell earrings are perfect statement earrings for summer. 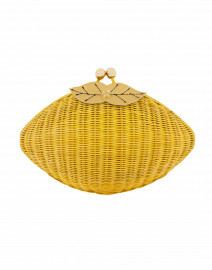 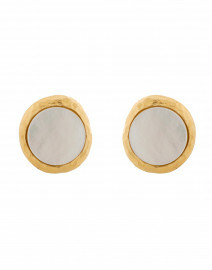 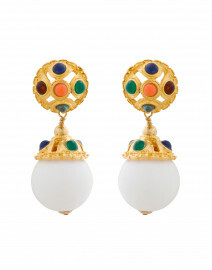 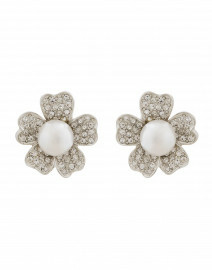 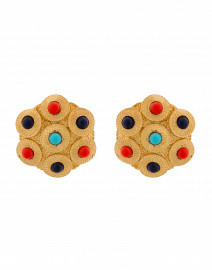 They’re crafted from textured 22 karat gold plated brass and feature a faux pearl center. 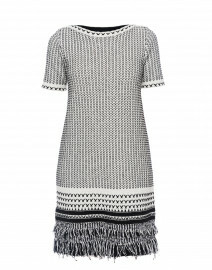 Watch them elevate a casual dress for a weekday dinner party.